Great 4 bedroom 3 bath home..the original owner has maintained home perfectly!! 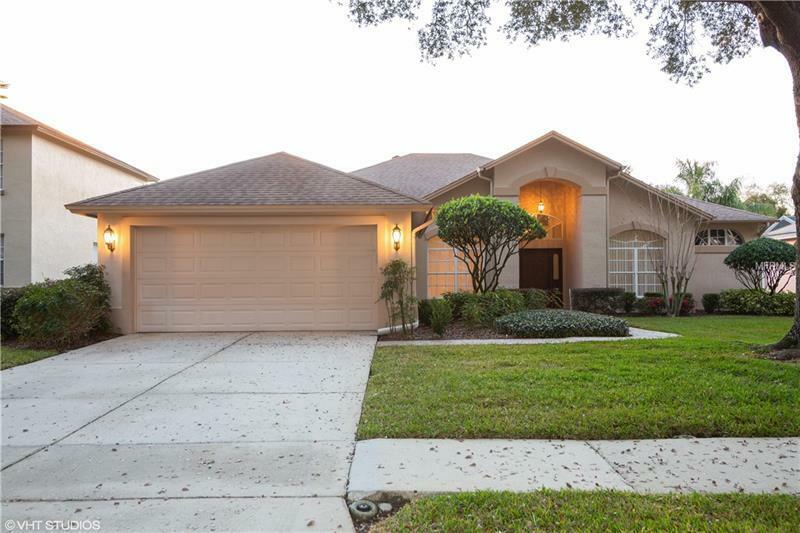 The home is located in the gated community of River Hills! Formal living room (drop some french doors makes a perfect office) Formal dining room off of eat in kitchen.! Kitchen has raised panel cabinets and solid surface counters and newer 20" floor tile! Kitchen looks into the large family room and out to lanai and back yard. Large master bedroom with walk-in closets and sliders to lanai !! Master bath has solid surface counters, soaking tub and walk-in shower!! Large private back yard with plenty of room for a pool!! Over-sized garage with a 6' extension! Come see why everyone loves River Hills the area's only man gated golf course community!! NO CDD!! !